Create your ultimate showering experience with a Crosswater showerhead, there’s an array of sophisticated styles, sizes and ideas to inspire you. All designs are intuitively designed to ensure you have a supreme showering experience every time. 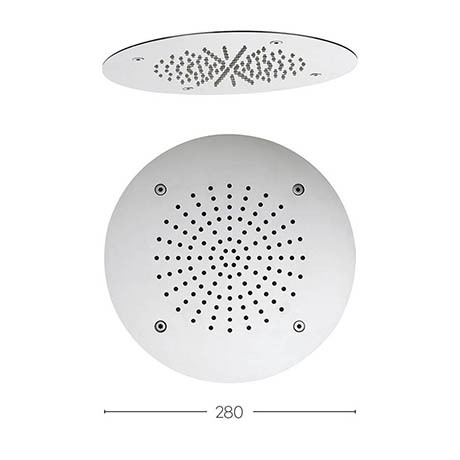 This 280mm Round Recessed Shower Head is ideal for those wanting to create a minimalist look and comes finished in polished stainless steel. For peace of mind Crosswater offer a 10 year guarantee on this luxury shower head.